Potter received a bachelor of fine arts from Alfred University and a master of fine arts from the Department of Glass at Rhode Island School of Design. 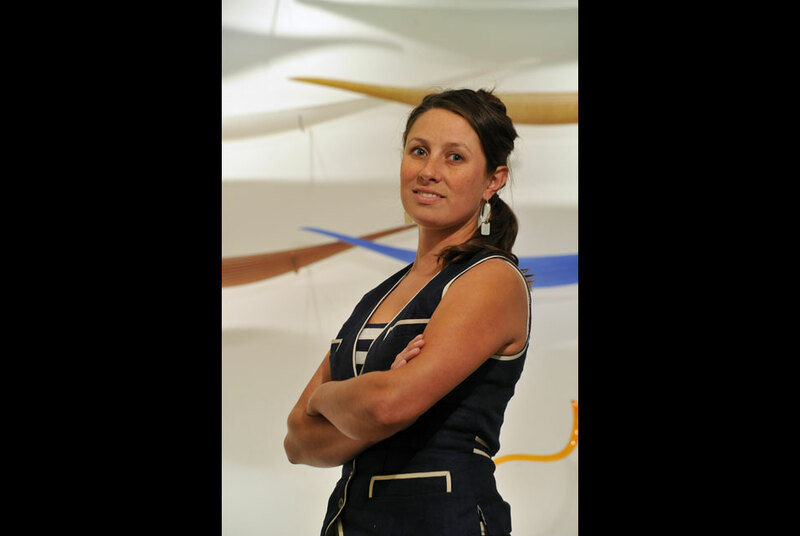 NORFOLK, VA.- Charlotte Potter, a conceptual artists and designer from Vermont, has joined the Chrysler Museum of Art as the Glass Studio manager. She will oversee operations and programming of the Chrysler Museum Glass Studio that opens to the public on November 2. The Chrysler Museum Glass Studio is a 7,000-square-foot facility that will complement the Museums world-class glass collection across the street. The state-of-the-art Glass Studio will accommodate aspiring and master artists working in a variety of glassmaking processes: blown glass, casting, fusing, flameworking and cold work. The studio will also offer free daily demonstrations, classes, artist-in-residence program, workshops and Glass Studio rental for professional artists. Potter received a bachelor of fine arts from Alfred University and a master of fine arts from the Department of Glass at Rhode Island School of Design, where she also taught. Trained as a glassblower, Potter has traveled extensively, working at some of the nations best glass studios, including Pilchuck Glass School, Haystack Mountain School of Crafts, Penland School of Crafts, and Wheaton Arts. In 2008, she co-founded the Cirque de Verre, a glass troupe that has performed at numerous studios and museums such as the Toledo Museum of Art and the Corning Museum of Glass. Potter has been an artist-in-residence at Pilchuck Glass School, The Art Making Machine Studios, the Creative Glass Center of America (at Wheaton Arts), and the University of Sydney in Australia. Her work has been shown internationally and is in the permanent collections of the Museum of American Glass and the Frieda and Henry J. Neils House designed by Frank Lloyd Wright.